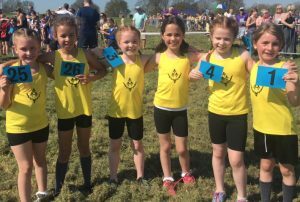 TWO years ago a group of girls were identified as good runners, since then these girls have been committed and dedicated to their training and are now starting to be rewarded for their efforts. 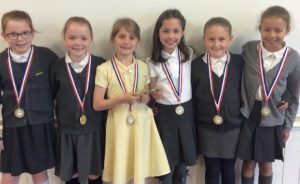 In November, Giffards Primary School in Corringham, recorded their highest placing in the Thurrock Cross Country competition finishing third out of over 30 Primary Schools, this was down to no small part of the Year 3 girls who all finished in the Top 12 of over 120 runners in their race recording the lowest score ever in the competition. The girls continued to practice every week in the wind, rain, snow and the occasional sun, preparing them for the finals that were to be held at Hadleigh Park in April against the best teams from around the county. The course itself was a gruelling course undertaking an enormous hill at the start before running through a mix of terrain and if that was not hard enough for the girls the temperature was hitting near 30 degrees. 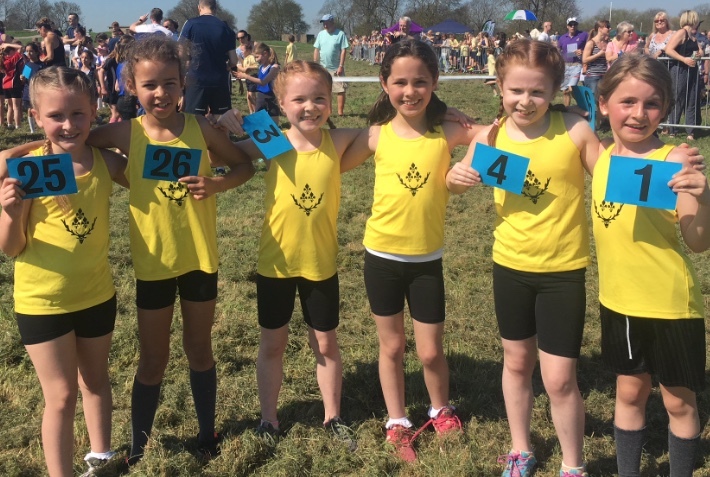 The race started and after the first hill our bright yellow bibs were dominating the front positions, the girls continued to dig deep and gave everything they could and the hard work and hours of training paid off. The girls were sensational claiming 1st, 3rd, 4th, 9th, 25th and 26th positions, which means that Giffards Primary School has the fastest Year 3 Girls Team in Essex, their amazing performance did not go unnoticed by the organiser, Active Essex, who noted that the combined team score of just 17 was the lowest score in the history of the competition by any team.